Sharon Slator, Service Manager for Aston Martin Cambridge, has spent the majority of her career living and breathing motors. Sharon took a completely different step from her desired career after leaving college as a qualified hairdresser and beautician, and decided to become the face of the second biggest purchase in anyone’s life, a car. 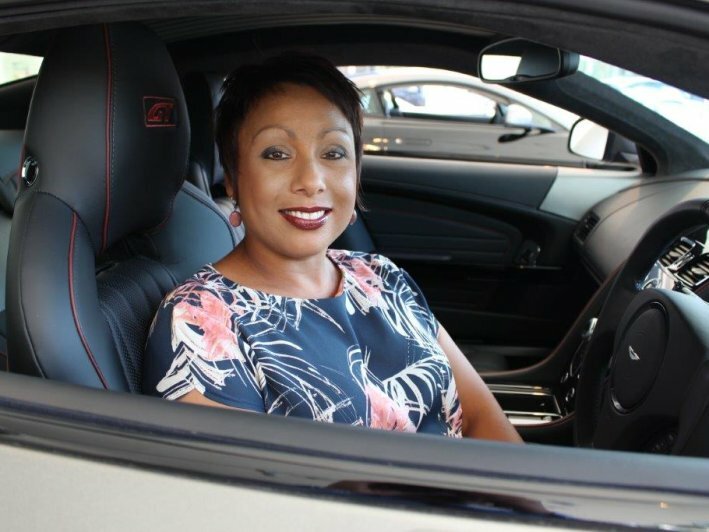 Having been in the automotive industry for over twenty years and working for Jardine Motors Group for the last sixteen years, she hasn’t once contemplated a profession change. Sharon started her journey when she saw a newspaper advertisement for a parts van driver. She applied for the position and was told her skills revealed in the interview were actually better suited for a front of house role in customer service. After a year of training as an apprentice, from sales and admin to working within the car workshops learning different aspects of different types of vehicles, she became Service Advisor for Parkwood Porsche and Saab, ensuring customers were given the best possible front of house care. Eighteen months later, Sharon moved to work for Jardine Motors Group and has been within the company ever since. From Mercedes to Porsche to Aston Martin, she has made her way up the career ladder thanks to the amazing opportunities she has been offered internally. Initially starting as Senior Service Advisor at Jardine’s Mercedes Redhill, through hard-work, integrity and passion, she progressed to Service Supervisor for Porsche Centre Cambridge and more recently, since the start of this year, is now Service Manager for Aston Martin Cambridge. Although being a female Service Manager in the automotive industry might seem a strange career choice to some, Sharon doesn’t live a day of regret. Speaking of her role, Sharon comments: “When I entered the automotive industry as a female many years ago, I had a few mountains to climb, challenges to overcome and points to prove, not just to my colleagues but the customers too. Sharon wants to continue to make a difference at Aston Martin Cambridge and is a great example of what Jardine can offer. Since starting her new role in January, she has certainly put her stamp on things. Sharon takes pride in her work, has ambitions to be the best she can be, and ultimately wants to give customers the best experience when they walk into the retailer. Working in a fast-paced, collaborative environment such as Jardine Motors Group, it has enabled her to be a well-respected employee in a prestigious retailer for one of the most progressive brands in the automotive industry. Sharon’s next career step and ultimate goal is to head up the Aftersales department for Aston Martin Cambridge.